FIU’s partnerships stretch out over the entire globe – but there are some countries with which collaborations are multi-dimensionally broad and exceedingly successful. India is one of those countries. FIU faculty regularly collaborate with fellow researchers. Student groups frequently engage with the local community as part of a Study Abroad program. And the Indian student population is always amongst the largest groups of foreign students on FIU campuses. See FIU-India profile here. In recognition of this prolific relationship, an FIU delegation to be led by Provost & Executive Vice President Kenneth G. Furton will be heading to India August 27-31. 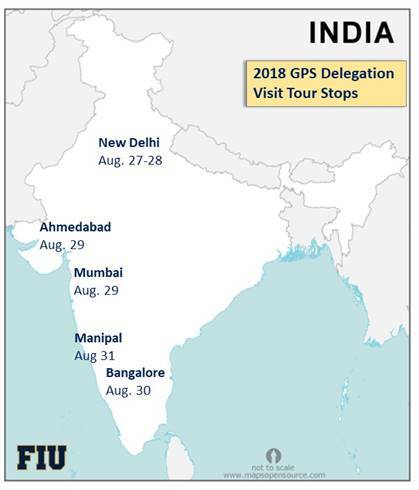 The FIU Global Position Showcase (GPS), as the initiative to India has been dubbed, is a multi-city outreach to celebrate the university’s successes with current partners and to build upon those partnerships to expand FIU’s impact and footprint. 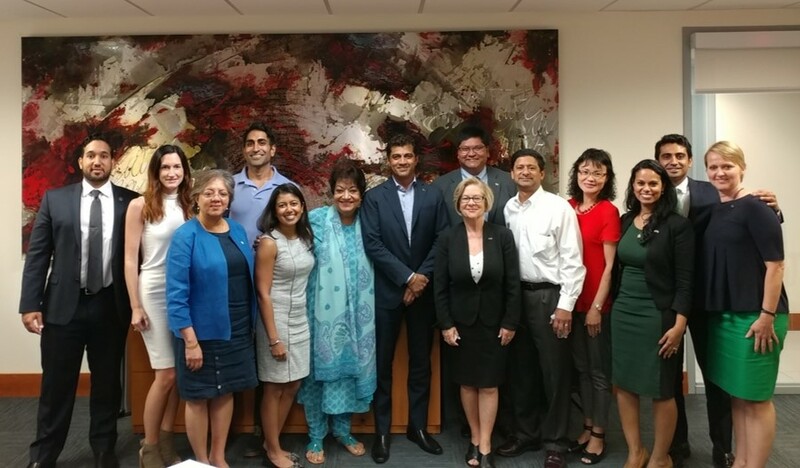 Several of FIU’s top faculty with Indian roots have assumed a key role in the delegation, not only to promote their research and deepen their collaborations but also to meet with interested students who are considering FIU to pursue their studies. In an open dialogue between chamber and FIU delegation members, IUSCCI Executive Board Advisor Dr. Narendra Kini, president and CEO of Nicklaus Children’s Hospital, emphasized that the impact of this initiative goes way beyond the academic mission of the university and that the South Florida Indian business community stands ready to do its part. The express support of the Indian diaspora community was much welcomed by members of the FIU delegation, including Dr. Ranu Jung, professor and chair of Biomedical Engineering. She has joined the GPS initiative because her research on neuro-enabled prostheses already benefits from collaborations with Indian scientists sponsored by the Indian Council of Scientific & Industrial Research. Awesome, that is great. GO FIU!